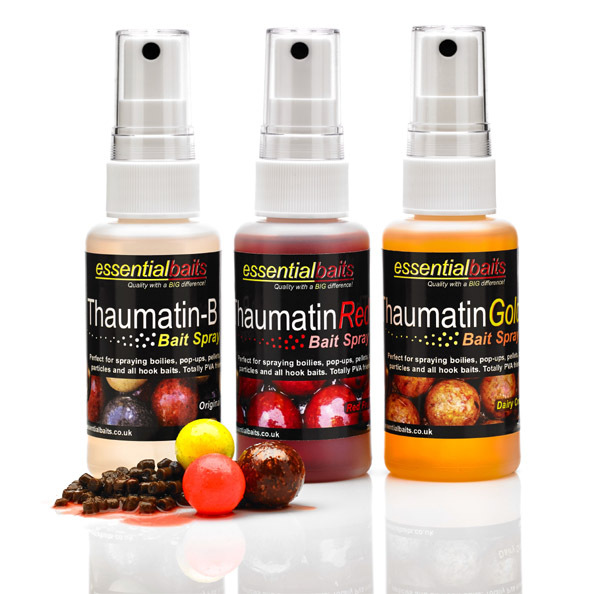 Fermented Bloodworm : Essential Baits, Quality with a BIG difference! Crammed full of Amino’s, natural extracts and nature identical compounds to leak off what we believe to be the closest possible signal to that of chironomid larvae (Bloodworm). 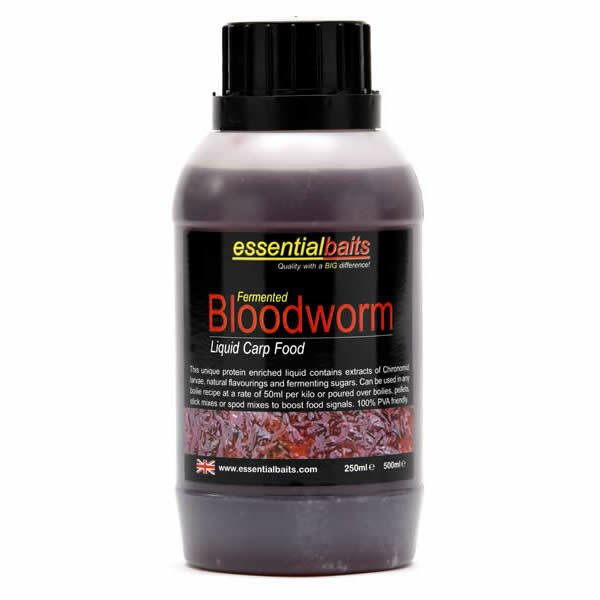 A brilliant liquid food compound that works extremely well in conjunction with our Bloodworm Frenzy Bag ‘n’ Stick Mix and Bloodworm Pellets. 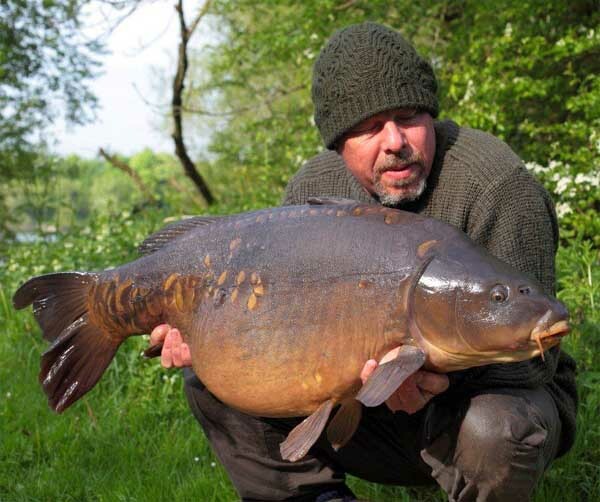 Long time carper Dave Gawthorn proudly displays a stunning 40lb+ mirror. Dave often uses Essential's Liquid Foods to his advantage. 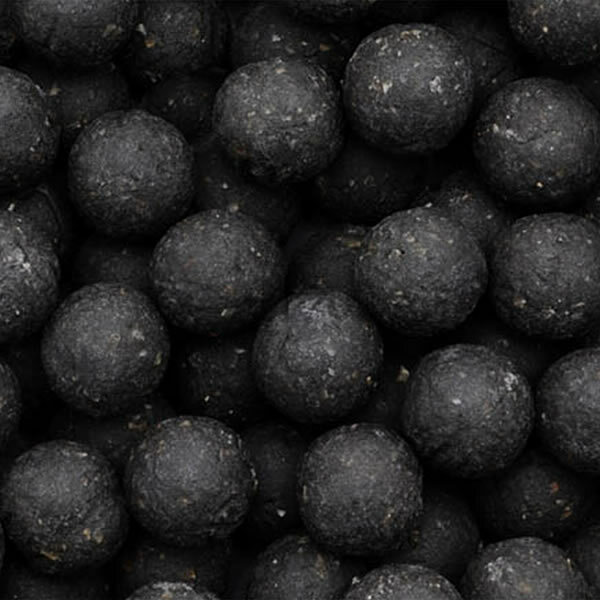 Liquid food additives are undoubtedly an important part of the carp angers bait armoury. 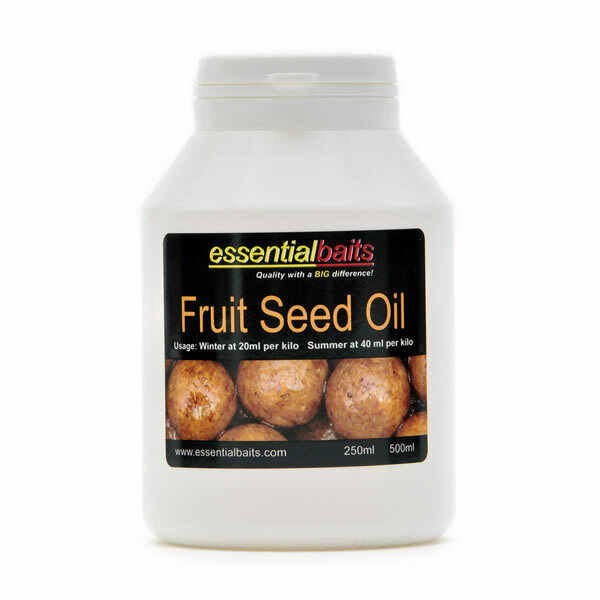 Their main function is to boost food signals in and around your baited rig or your baited area. 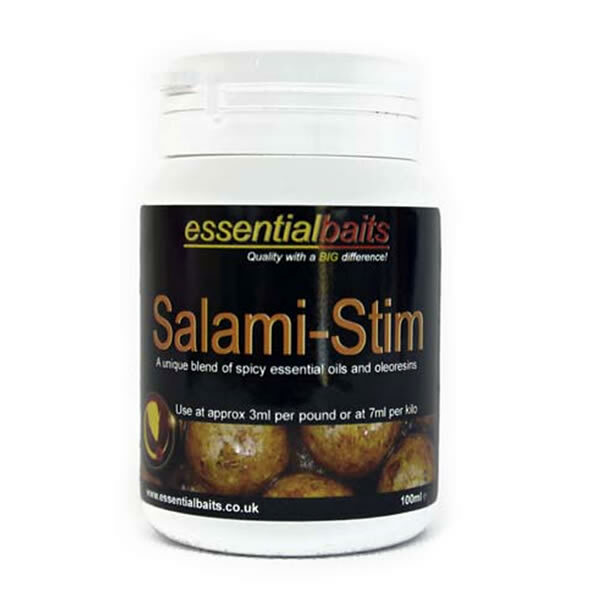 Stick Mixes or groundbaits can simply be mixed together with water, but by adding a liquid food as well, you will be increasing the food signals coming from the bait, which in turn is far more likely to lead to a quicker rate of investigation and more frenzied fish activity. Coating pellets with a Liquid Food will disperse quicker/better messages of food than pellets used on their own, and a single Pop-Up launched in the middle of nowhere will undoubtedly benefit from boosting the attraction properties with a Liquid Food. They can be particularly beneficial for short session use when you need to maximise attraction in the minimum amount of time. 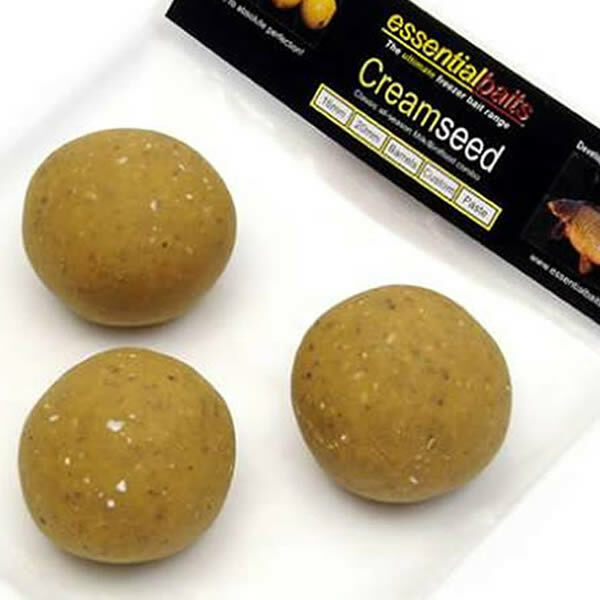 They are also beneficial for coldwater use when we need to send extra messages of food through the water column in an attempt to arouse those otherwise lethargic carp. Ignore them at your peril!